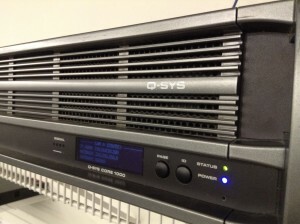 QSC’s Q-Sys system has been getting the reputation as the premiere DSP solution for large venues. It has found its home in some of the biggest stadiums, convention centers, airports and hotels. The upward scalability and redundancy is one of the main reasons it has become the system of choice. One of of the areas where the system gets overlooked is for smaller applications. In this area Q-Sys may seem like overkill. NOTHING can be farther from the truth! The reason for this is that Q-Sys is far more than audio processor. 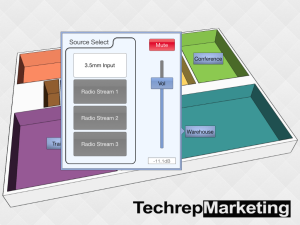 It becomes the core processor for all audio in a facility. 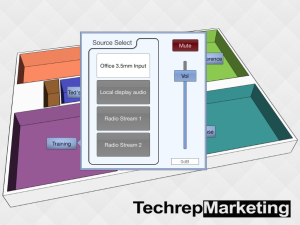 In short the most basic Core 250 system handles audio transport, processing, control,monitoring, audio conferencing, paging, mixing, automated announcing, and playback. Its this flexibility that makes it the ideal platform for smaller venues. We recently installed a system at our HQ in North Ridgeville OH. Our application is pretty standard for a small office setting. We have a conference room with some basic AV, we have couple of shared office spaces, an executive office and a training room. 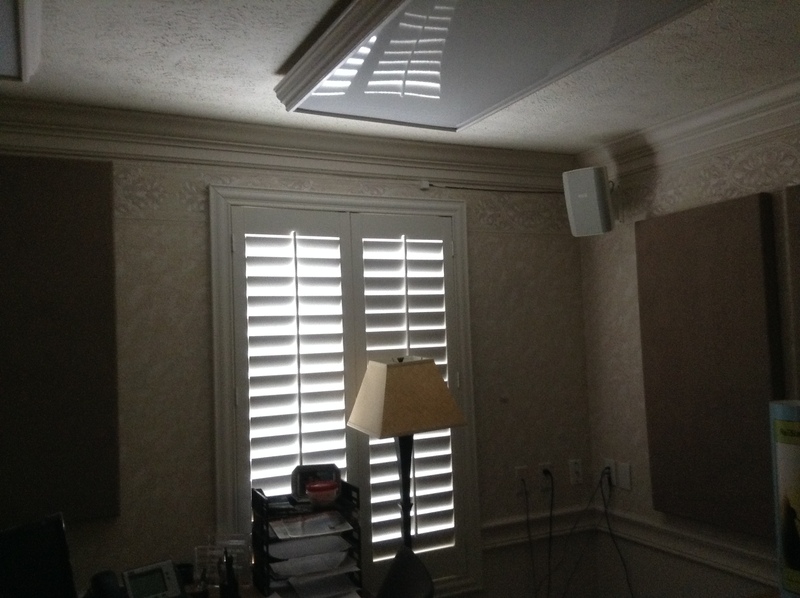 We wanted the system to do BGM, conference room AEC, and handle zoned playback for our training room. We needed that system to give us both common and individual controls for each zone. This allows us to have BGM playing while there is a conference in the conference room and a training video playing in the training room. 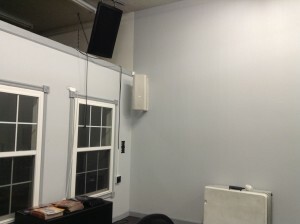 Both the conference room and the training room have microphone and line inputs. The office has only a line input. Everything is controlled by iPad or iPhone via a custom UCI (user control interface). 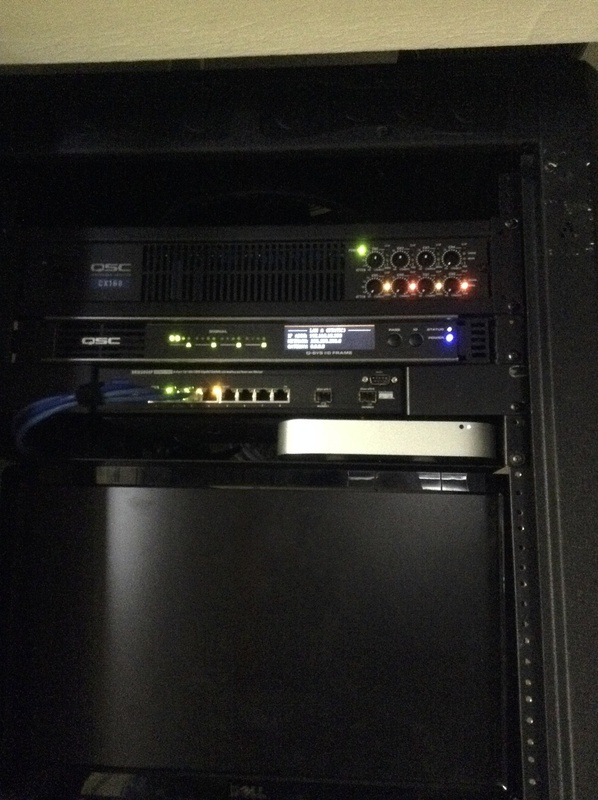 The entire system is tucked away in our server closet. 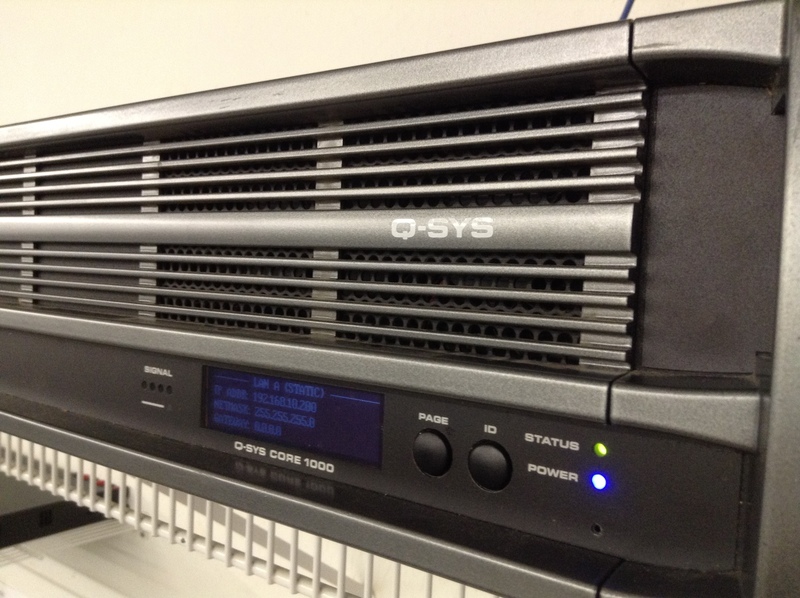 We had one of the first generation Core 1000 systems in stock so we chose to use that for our office system. For a new installation we could have used a Core 250 for everything. We would not have needed the I/O frame. A Core 250 would give us 32 channels of physical outputs. In our conference room we have 2 table mics that require echo cancellation, 2 AD-S52 speakers for playback and audio inputs for AV. 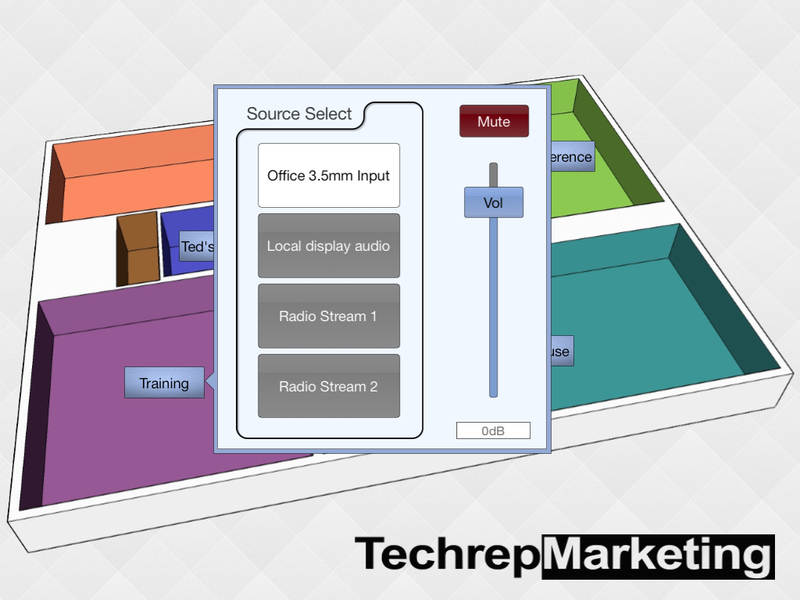 The training room has a local display audio input or it can take audio from the office BGM input. 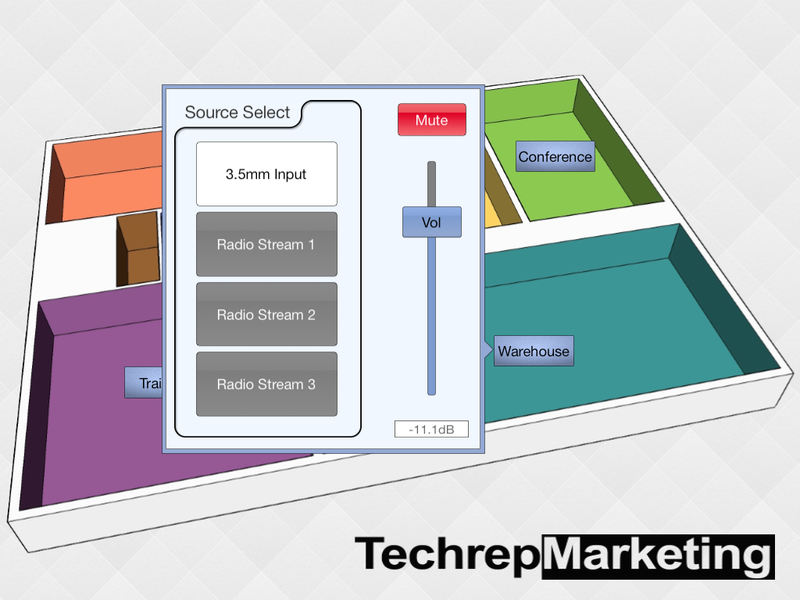 There are also 2 streaming inputs from RTSP. 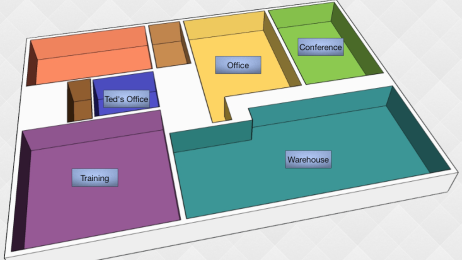 Both of the office spaces and the warehouse have simple control interfaces. These UCIs were built in the Q-Sys designer software. 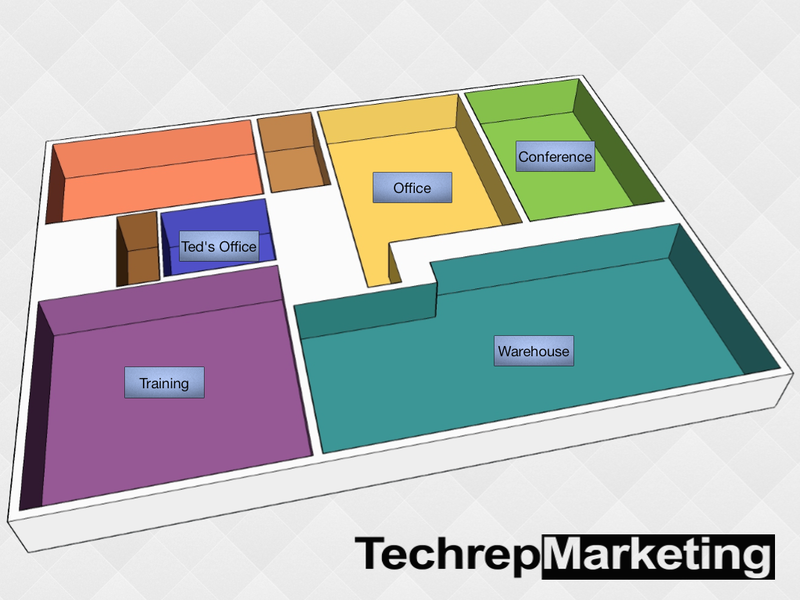 We were able to layout the whole facility in a couple hours including the time it took make the graphics. If you have worked with other DSP software interfaces Q-Sys designer will be a refreshing change. 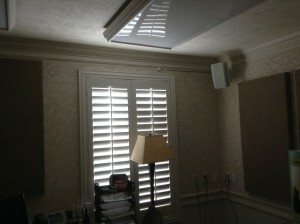 The system was very easy to configure and customize for our needs. 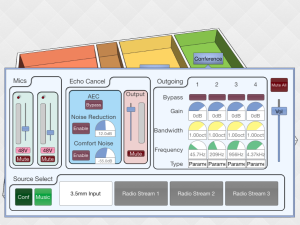 We also have a schematic page setup for monitoring our amps and speakers. The AEC module is especially cool. Its included in the system at no extra charge and no licensing fee! It also does not require additional hardware. We have more than enough DSP processing left. 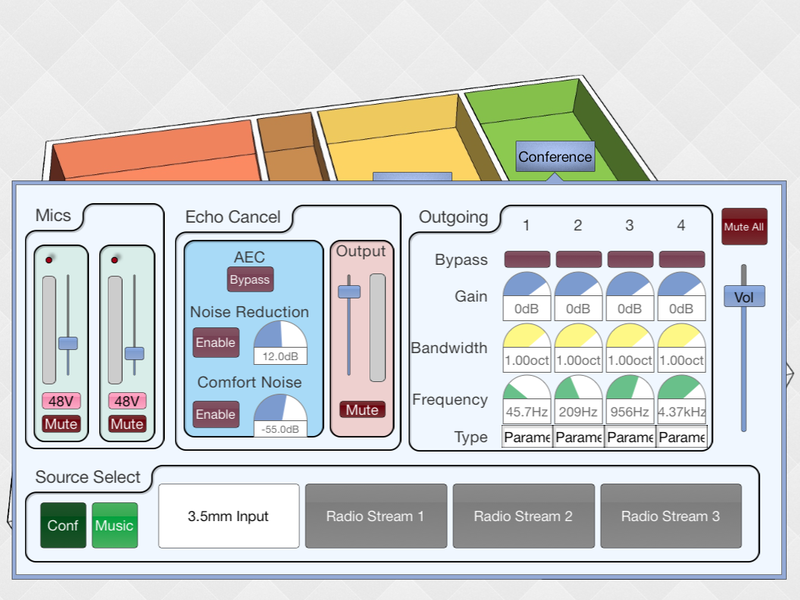 Could AEC on all of our current inputs and have more DSP processing left over than we could possibly use. Here is a couple pics of the gear installed.